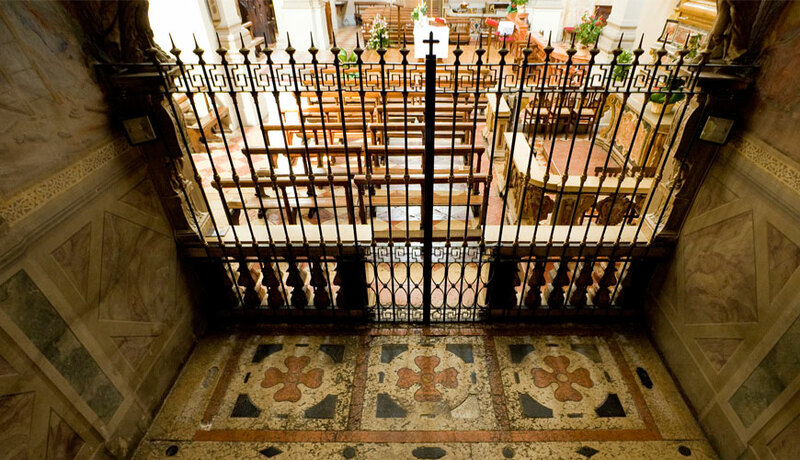 The Provostal Church of St. Erasmus Bishop and Martyr is either the work of Bernardino Facciotto or his son’s Girolamo. It was built in the second half of the sixteenth century by the Marquis of Castel Goffredo Alfonso Gonzaga, with the contribution of religious congregations and the Magnificent Community. 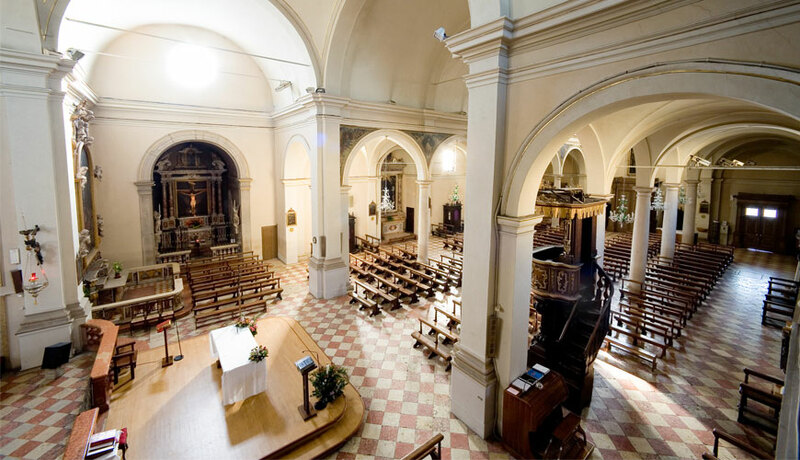 It is located within the city walls, overlooking Piazza Mazzini, the Renaissance heart of the city. 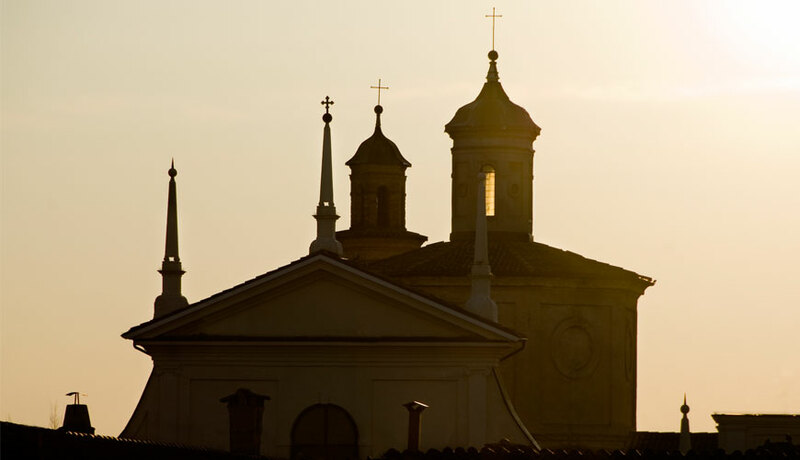 The Latin cross church is divided into three naves by monolithic columns. Where the nave and the transept cross, rises the large dome with a lantern. The temple houses a beautiful wooden sculpture of the fifteenth century: the Miraculous Crucifix, placed in the chapel of the same name. 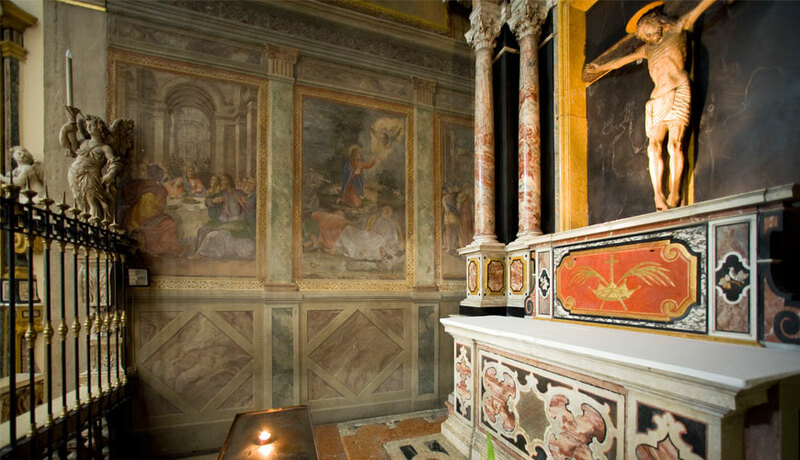 In the church you can also admire polychrome marble altars and colourful inlay realized by the Florentine workshop of Corbarelli, and paintings of Veronese’s workshop Brusasorzi and of the sixteenth-century Mantua School. (in italiano, qui ci andrebbe il punto invece della virgola) Baroque painting is represented by works of Giuseppe Fali from Brescia and Giuseppe Bazzani from Mantua. (errore: in italiano “completano” è scritto sbagliato) The wooden furniture completes and enriches the church, and it includes works of cabinetmakers from Brescia and Mantua, as the important eighteenth-century choir by Ceratelli and the rich self-standing pulpit by Rizzardo Carboni, beautiful expression of the Barocchetto Lombardo.